LED Photo Booth is all around colorful, inflatable, fun! What is an LED Photo Booth? LED Booth with purple lighting. 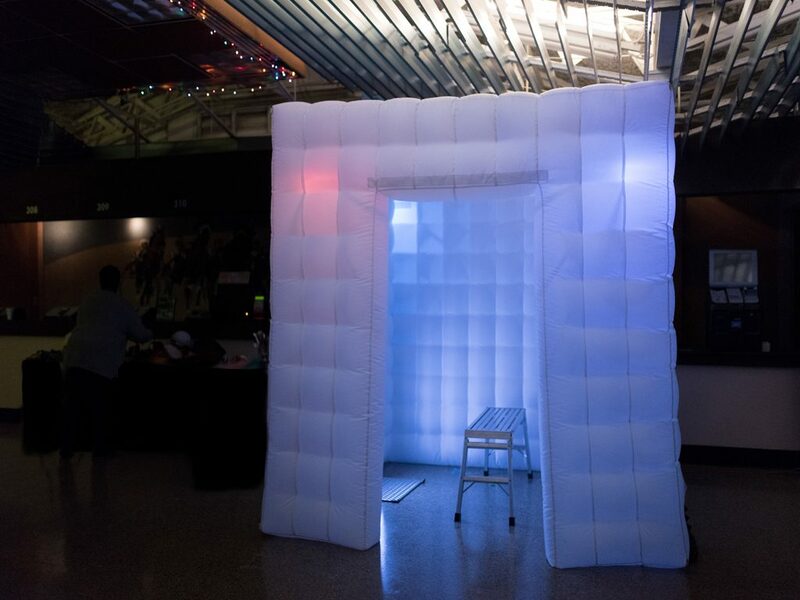 The LED photo booth is a new type of enclosed photo booth. What’s fun about this photo booth is that it lights up AND its inflatable! This adds a quirky element to your event while also being quick to install. The LED Photo Booth has lights in each corner that can be customized to your choice and will match with almost any color scheme. Not sure what color to go for? You can cycle through the whole spectrum of colors. You don’t even have to have all 4 lights the same color! The booth still keeps its traditional photo booth feel inside with a kiosk-style stand. 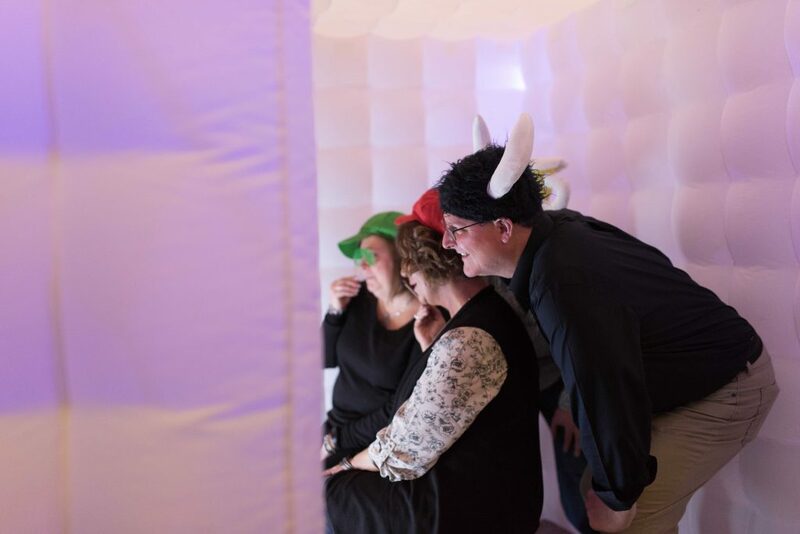 What can you do in the LED Photo Booth? The LED Photo Booth works like other photo booths. It lets you take photos and videos. It has an interactive touch screen, which means that you can interact easily with the photo booth to personalize your experience. Sometimes photos just aren’t enough, imagine having video messages from your guests as memoirs from your event! With our software, the LED Photo Booth allows just that! When it comes to making memories, you and your guests will want to be able to print and share your photos. As for printing, you have a choice of 2″ x 6″, 4″ x 6″, or 6″ x 8″ prints and decide on the print size when you book the event. As far as quantity goes, the LED Photo Booth’s users can decide how many prints they want of their photograph at the end of their photo session. Also at the end of their mini photo-op, your guests can also choose different color effects for their pictures! They will also have an option to not only print their pictures, but to also share them via email or MMS text directly from the booth’s software. You can also post your photos and videos to your favorite social network sites! How big is the booth and who might want to use it? 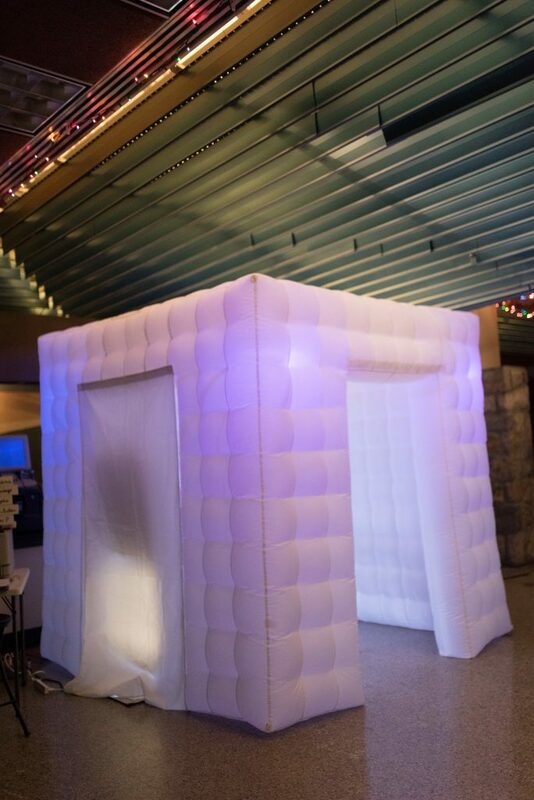 The LED Photo Booth is physically the largest photo booth available. It measures 8’ wide by 8’ long and 7.5′ tall, which means it can hold a lot of people inside. This leads to really entertaining group photos, our record is 32 people at once! Therefore, this photo booth is great for venues where there will be a lot of people wanting to take part and use the photo booth. Events such as weddings, student parties and big birthday celebrations would be ideal for this inflatable booth. 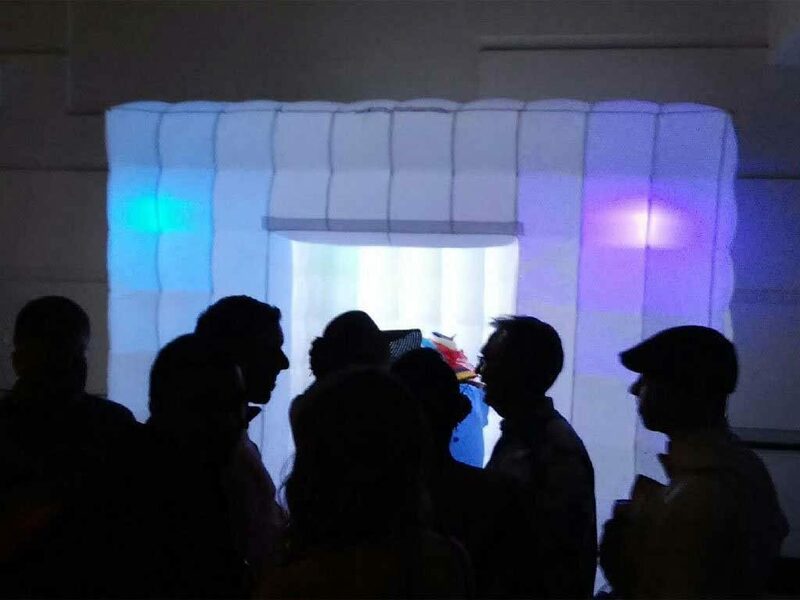 The LED Booth is a hit at any event! Young and old alike will love this colorful booth. It is so simple to use that even older technophobes will manage to use it to take incredible snaps. In fact, the LED Photo Booth is loved by all. You will create fun memories that last a lifetime! Book one today for your next event!